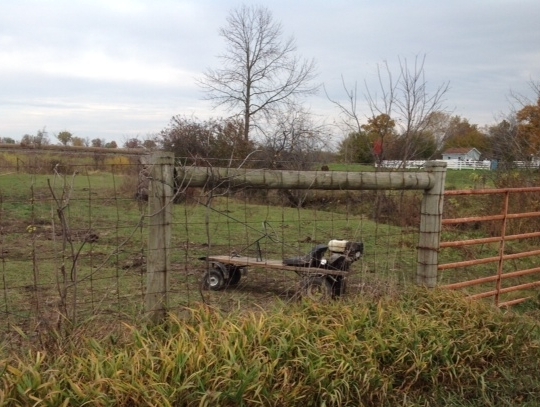 A reader sends in the following set of photos, of an improvised vehicle in northern Indiana. 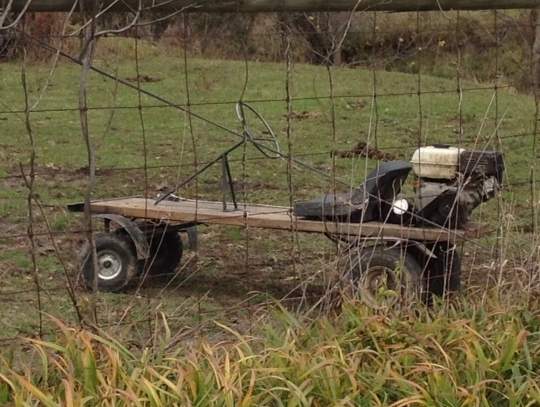 I guess we could call this an Amish go-kart. Both the vehicle’s dimensions and eyewitness reports suggest that the driver is on the wee side. Amish or English, fellas like things that go fast. While we’re on the topic of engines, this photo was taken outside of an Amish-owned engine shop. Bold birds, I say. Your captions welcome. Pssst! Wanna buy a duck? 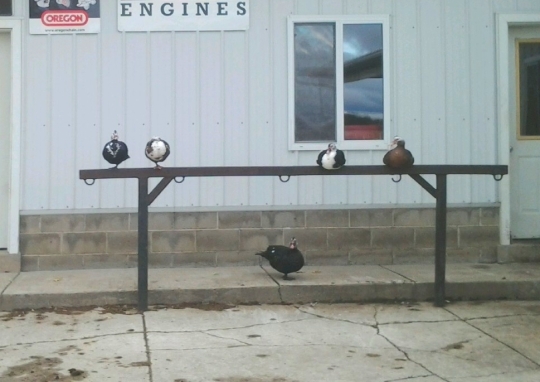 Here at Yoder’s engine shop, we really do keep our ducks in a row! A new bird wishes to join the Amish Duck Dynasty. 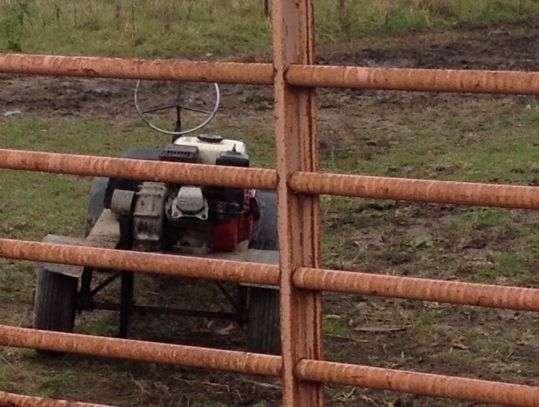 “An Amishman…brought [a local engine shop owner] an old lawn mower and an old 4-cylinder engine that was taken out of a car and asked him to try putting the engine in the lawn mower. [The owner] said he would try but after looking at it I explained there was no way because it was a fuel injected engine, so the owner came back and picked up both. HITCHING POST??!!! ooooooooooh…..I thought they said Pigeon Post. I thought rubber tires were a no-no. Carol in most Amish communities, that’s usually the case for tractors, to discourage driving the tractors on the road like a car. You might see them on things like children’s wagons however. Looks to me, these ducks wanted to be photographed, so all know that they are not just ducks, but Amish ducks! Oh, Alice Mary, you are the queen of captions and comment titles. Your caption made me laugh. You girls save my spot, I’m gonna see if this place has a restroom. We learned it in our yoga class–it’s called “One-Legged Duck” pose, and it helps align the Quack. Who is bringing the soup…. I’ve got the quackers! Everyone was wondering if the bishop had been dipping into the ‘special recipe’ because he decreed that horses are out and ducks are in for traveling. Under the tutelage of their coach, the young ducks prepare for the winter Olympics on the balance beam. Ducks, its what for dinner. OK, you guys up there, I want you to straighten up and fly straight.